Overall, I like this palette. My favourite shades lie right in the middle, since I'm all about neutral browns blended into the crease. 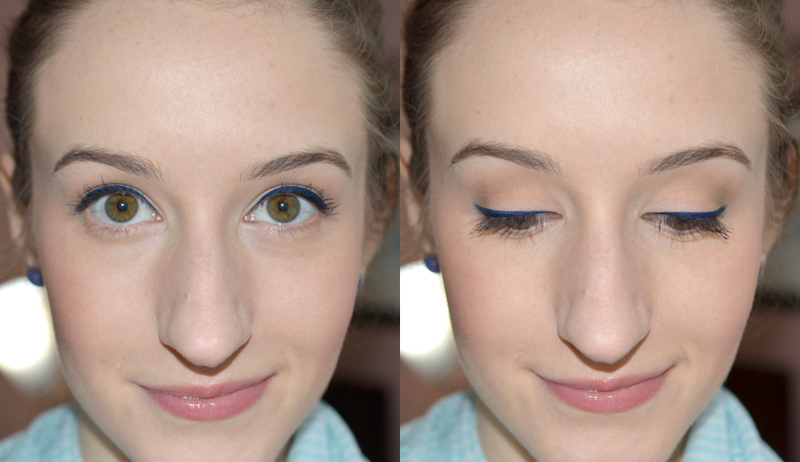 Layered over their incredible eye primer (featured here), these shadows are worth the price. 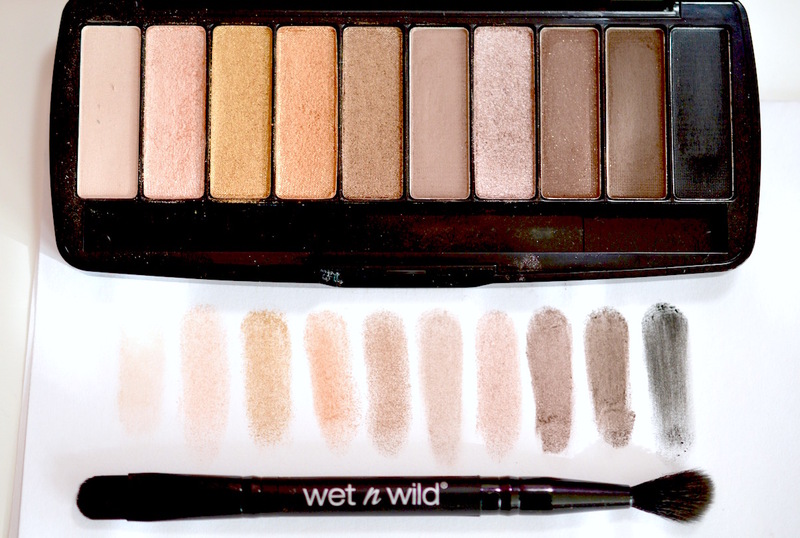 The shimmery shades don't really compare to the creamy pigmentation of wet n wild's 8-pan Color Icon Palettes, and this selection could use a few more matte, mid-tone shades, in my opinion. As with the rest of the collection, I would prefer less bulky/cheap packaging. The darks are dark, the shimmers are sparkly, and the included brush is good. Though a bit sparse, the fluffy side is soft and blends nicely, and and the flat side can be used to pack shimmer onto the lid. 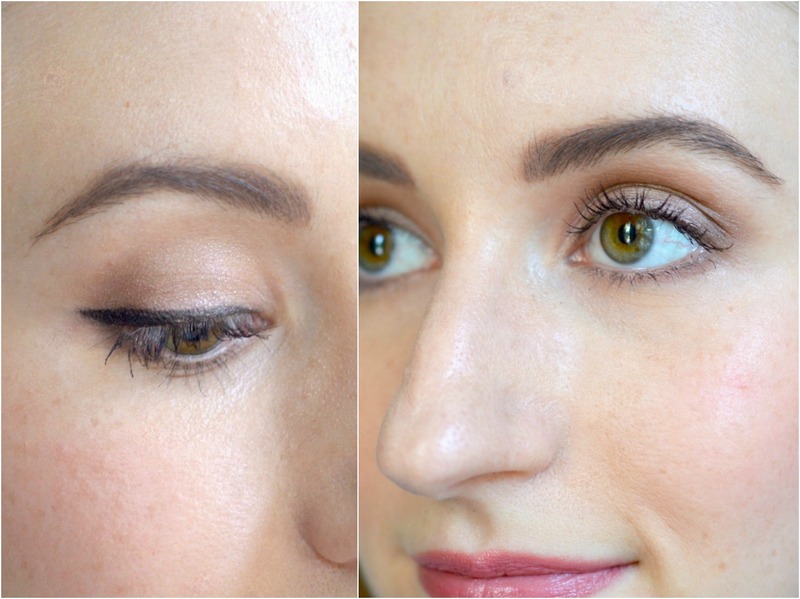 Wearing the shimmery champagne on my inner corner, the lightest beige on my browbone, a mixture of the middle two shimmery browns on the lid, and the two darkest browns in my outer corner. Liner is the Proline felt tip liner in dark brown. I am totally thrilled with this blue felt-tip liner. It is so fun, surprisingly wearable, and very easy to use. The felt tip had a slightly jagged edge on mine, but I easily cleaned that up with some nail scissors. 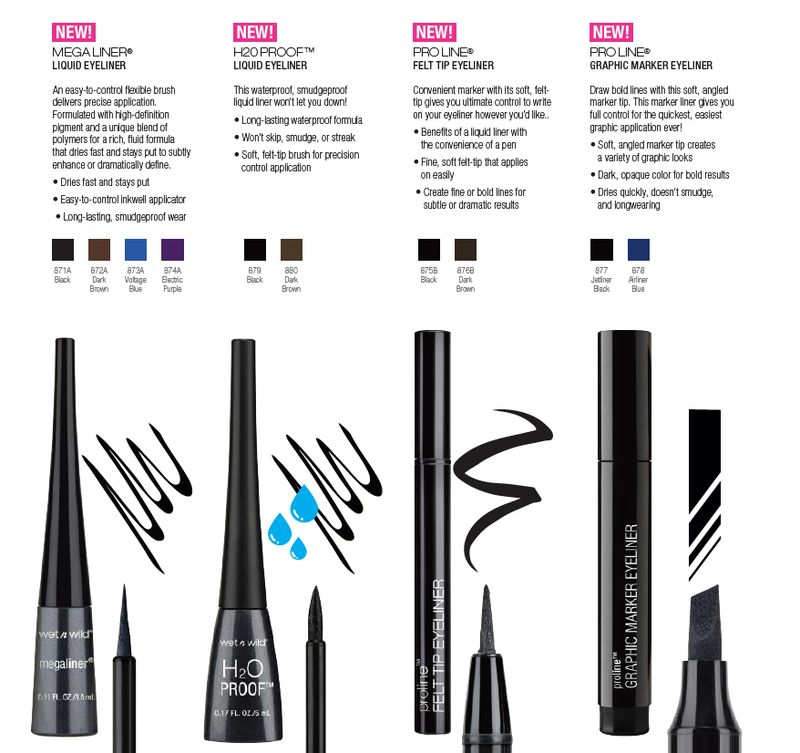 Overall, a super affordable and and unique shade of liner that I will continue to use on occasion. The liner pen was a favourite out of the bunch. Compact, extremely pigmented, and easy to use. Mine got really inky in the cap after the first use, but I was able to wipe away the excess. Be sure to store these liners flat, so that they don't leak or get dried out standing up straight. I'll keep this one handy for travelling and more dramatic looks. This waterproof liquid liner does not rub off, at all. As you can see in the swatch below, it was a strange consistency that bled a bit. I'm sure that this issue would be solved with a quick shake of the bottle, but I probably won't reach for this one often. It finally came off after minor scrubbing using my oil makeup remover and a cloth. The pencil is really nice for a drugstore alternative. It's very dark, matte, and easily bendable. It is more black-based, and I typically prefer a warmer taupe or golden toned brown like the Rimmel Scandaleyes liner in brown. It sharpens pretty easily too! 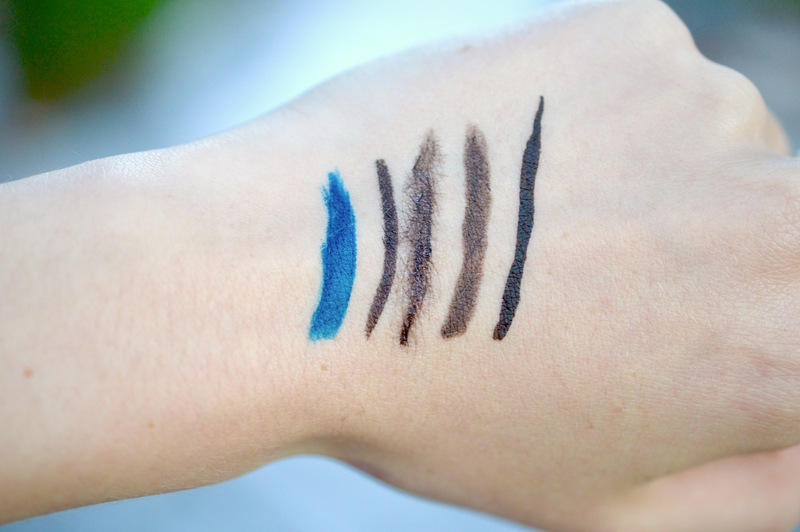 In future collections I'd love to see wet n wild release more brow products (like a felt tip brow liner) and a larger range of colours for their eyeliners (burgundy, taupe, green). 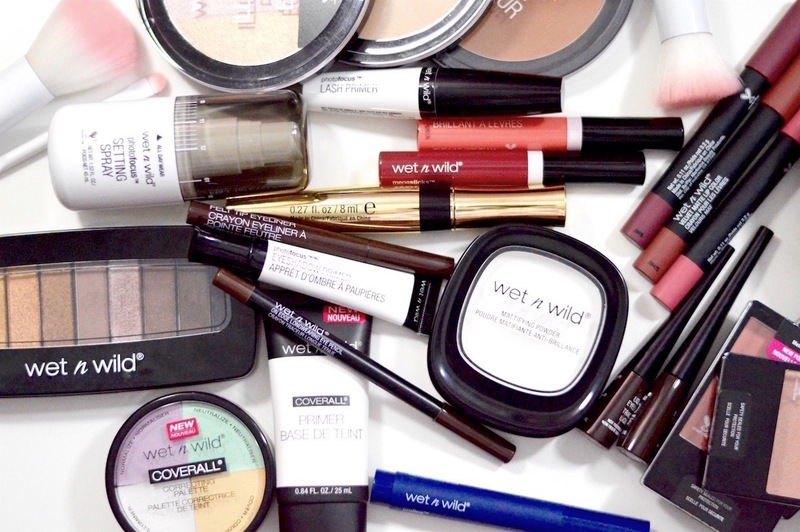 See all of my other wet n wild reviews here.